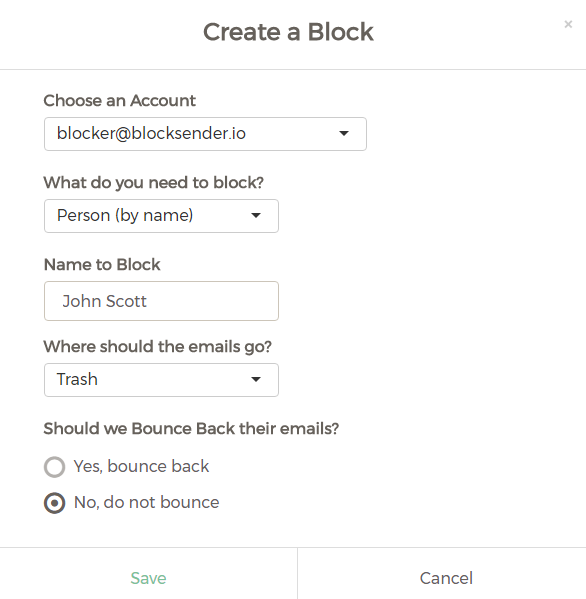 With Block Sender, you can stop receiving emails from someone just by blocking their name, either within Gmail using our browser extension or via the dashboard. Click on the Block button in the toolbar and select New Block. 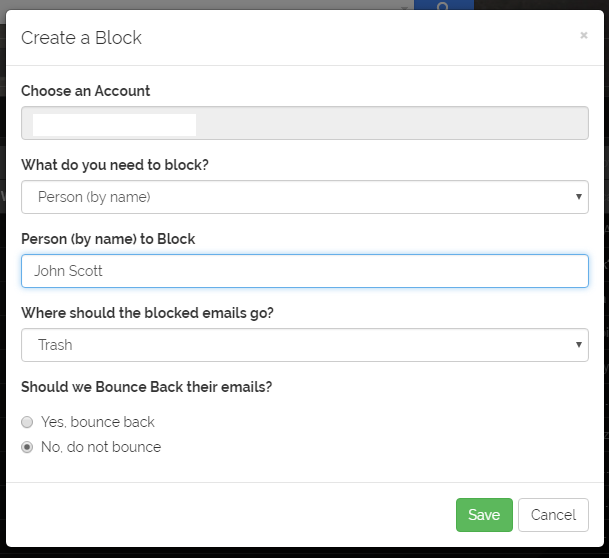 Select New Block under Create Block. Tip: This works best if you block the name the person uses in their email address. So if the person emailing you shows up as “John D.” in their emails to you, then you should block “John D.”, and not their full name.